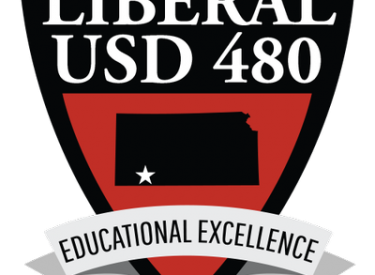 The USD 480 Board of Education took advantage of the day off for students on Monday to tour the current LHS science classroom remodeling project and facilities. Chad Mease, Director of Operations, also provided updates on numerous other district projects including kitchen remodels at Sunflower and Cottonwood, the middle school concession stands, and the disposition of the former Washington and McDermott sites. The Chamber of Commerce recognized the January Teacher of the Month, Louisa Gonzalez, ESL teacher at Prairie View Elementary. Mrs. Kappelmann, LHS staff members, and several students spent time with BOE members highlighting a “day in the life” of an LHS student and how the Redesign process has developed personal responsibility and cultivated leadership skills. In new business, the BOE approved the low bid from Tek Style Audio and Security in the amount of almost $194,000 to replace 118 cameras and add 97 cameras at LHS, LHS East Campus, Sunflower, Cottonwood and Bright Start. The board also approved changing website hosts to Apptegy services to handle our website beginning in late summer 2019. Apptegy will assist with the efficiency in how that content is delivered to students, parents and the community.